If you think you can stomach the sick side of science, then come hunting for the cruellest creatures of them all! Get to grips with gruesome grizzly bears; wolf down some facts about, er, wolves … and snap up some savage shark stories – if you dare! With freaky fact files, cool quizzes and crazy cartoons, it’s a book to sink your teeth into! Science has never been so horrible! Funny, makes us see science in a different light. soooo funny i love this book and all it’s series! it’s a really fun way to learn about wacky people who are obsessed with animals. you don’t even have to like art, science or be good at either one of them to like this series. hope you like this book and i recommend all the other books in the series too! 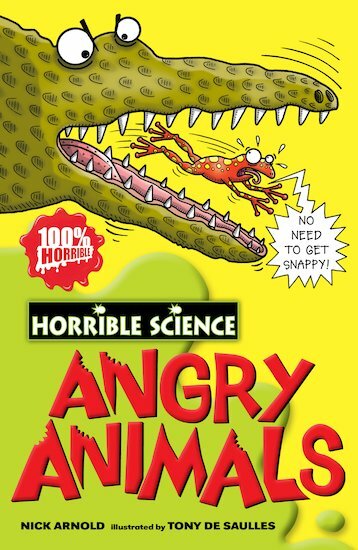 I like this book because it is a Science book and also a comic book with cool cartoons.